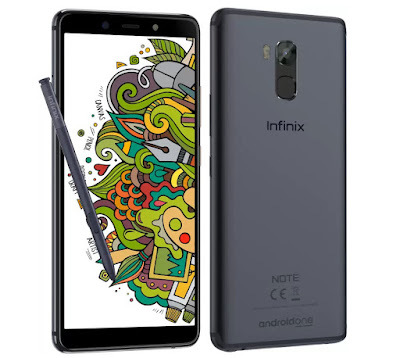 Infinix launched Infinix Note 5 Stylus with an X Pen stylus in India. It has a 6-inch Full HD+ Display powered by an Octa-Core MediaTek Helio P23 processor with 4GB of RAM and 64GB of internal storage. Stylus offers 4096 level pressure sensitivity and fine tip. You can open menu, new menu and switch between pen and eraser with just a click. X Pen menu lets you launch notes, write memos, take a screenshot, view files.Dual SIM device runs on Android 8.1 (Oreo). On Camera, It has a 16-megapixel rear camera with dual LED flash and a 16-megapixel front camera with AI features, soft LED flash. Packed by a 4000mAh battery with 18W fast charging. 6-inch (2160×1080 pixels) FHD+ 18:9 IPS 2.5D curved glass display, 500 nits brightness, 1000:1 contast ratio, 85% NTSC color gamut.